If the Division of Child Protection and Permanency (“DCP&P”), formerly known as the Division of Youth and Family Services (“DYFS”) investigates an allegation of child abuse or neglect, local law enforcement may also become involved if there are accusations of serious harm to a child. That is, in cases where a child suffers severe, actual harm that is more serious than fourth degree child abuse, abandonment, cruelty or neglect under Title 9, the County Prosecutor may determine that the allegations rise to a level that warrant charges for endangering the welfare of a child, in either the third or second degree. If you are being investigated by DCP&P for an allegation of child abuse and neglect, you should contact the experienced DYFS lawyers at the Tormey Law Firm to discuss your defense strategy. Our criminal defense team includes attorneys who used to prosecute these charges for the State of NJ. Now, let them use their experience and expertise to defend these allegations against you. We represent clients on DCP&P matters throughout Essex County including in Irvington, Newark, West Orange, and South Orange. Contact our offices now for a free initial consultation at (908)-356-6900. New Jersey’s criminal child abuse and neglect laws set forth that any person having a legal duty for the care of a child or who has assumed responsibility for the care of a child who causes the child harm that would make the child an abused or neglected child as defined in N.J.S.A. 9:6-3 and N.J.S.A. 9:6-8.21 is guilty of a crime of the second degree. The endangerment statute furthers states that any other person who engages in conduct or who causes harm as described in this paragraph to a child is guilty of a crime of the third degree. N.J.S.A. 2C:24-4(a)(2). Interestingly, the endangerment statute does not set forth distinct elements of a criminal offense but, rather, cites to Title 9 as the basis for determining whether or not a person has committed the crime of endangering the welfare of a child. Although the elements of the second and third degree offense are essentially indistinguishable from the fourth degree crime of child abuse found in Title 9, either can be used by the prosecutor when charging a defendant in a criminal case. 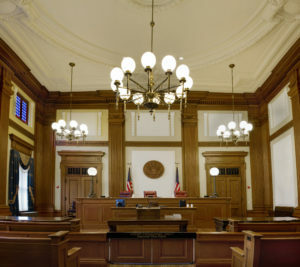 In fact, the New Jersey Appellate Division concluded that there is no constitutional violation because the two statutes permit the prosecutor to utilize discretion and seek a conviction of a second degree crime when the circumstances so dictate. State v. T.C., 347 N.J. Super. 219 (App. Div. 2002) and State v. D.A.V., 348 N.J. Super. 107 (App. Div. 2002). In both of those cases, the Appellate Division cited to the United States Supreme Court’s holding that “when an act violates more than one criminal statute, the Government may prosecute under either so long as it does not discriminate against any class of defendants.” United States v. Batchelder, 442 U.S. 114 (1979). In other words, the prosecutor has discretion to charge a defendant with either second or third degree child endangerment versus or fourth degree child abuse, depending upon the seriousness of the allegations. If you are being investigated by DCP&P due to allegations of child abuse, you may also eventually be charged for the crime of endangering the welfare of a child. Although the Division is not able to file criminal charges, if the DYFS investigation reveals serious harm has occurred to a child, then the police and County Prosecutor may become involved as well and you could be facing severe consequences. Whether or not you have been charged with a crime, if DCP&P is investigating you due an allegation of child abuse or neglect, you should contact the knowledgeable child abuse and neglect defense attorneys at the Tormey Law Firm to discuss your case.